Polish Air Force repaints for Captain Sim C-130 Hercules. All liveries are based on existing aircraft – 1501, 1502, 1504 and 1508. 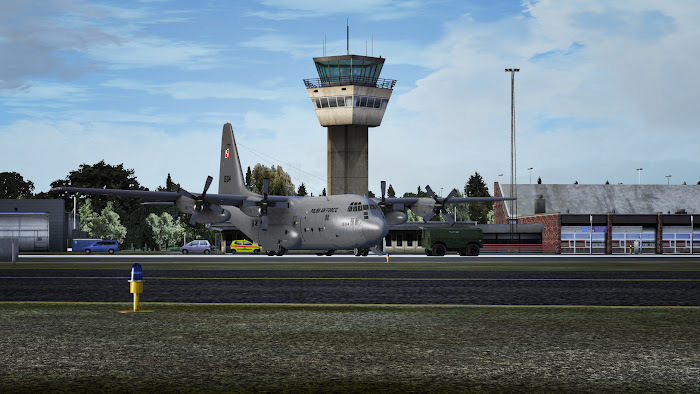 Edit aircraft.cfg file in …/CS_C130/ folder to include the following fltsim details after last fltsim group. Change 7, 8, 9, 10 in [flightsim.7] and following groups for the correct (consecutive) numbers (check previous fltsim and add 1). You can use 7-10 if you have no repaints installed yet. – 1508 (Czesio – cartoon character). 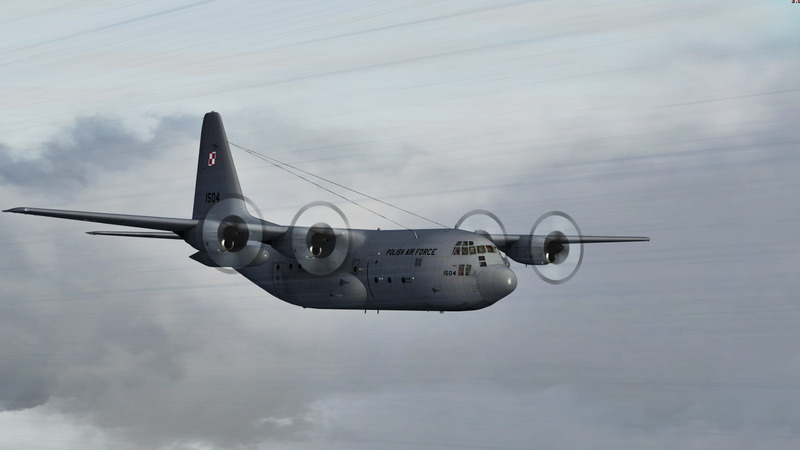 Repaint follows current regulations so it has Polish military markings on tail and on lower and upper sides of wings. 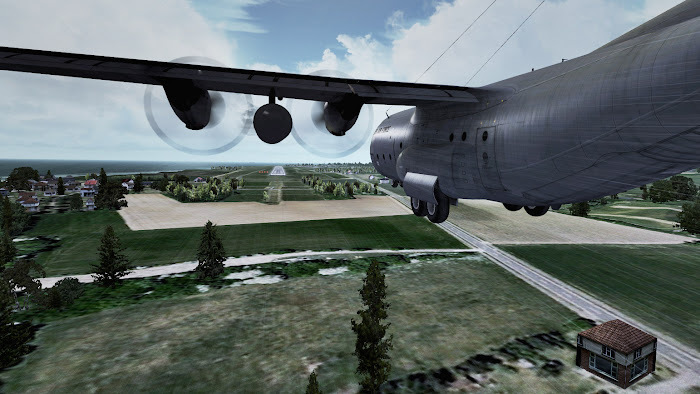 If you wish to follow previous regulations and fly without markings on upper sides of wings – go to …/texture.plf/ folder and replace files C130_5_T and C130_6_T with these provided in …/texture.plf/no-upper-markings/. To reverse this change – use files from …/texture.plf/upper-merkings/ folder. This change will affect all aircraft. 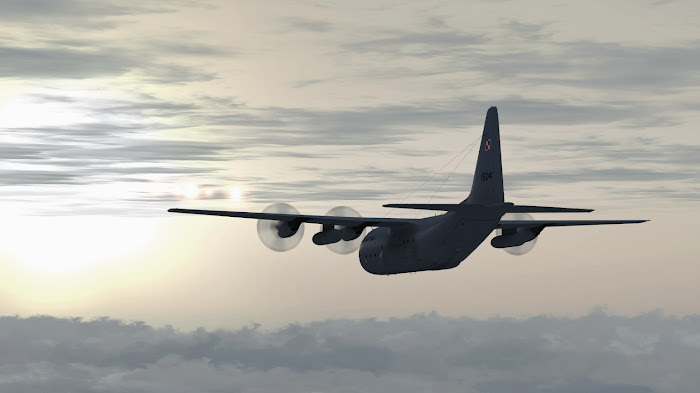 If you wish to change only single airframe – copy appropriate files to …/texture.plf1501/ folder to changing aircraft #1501). 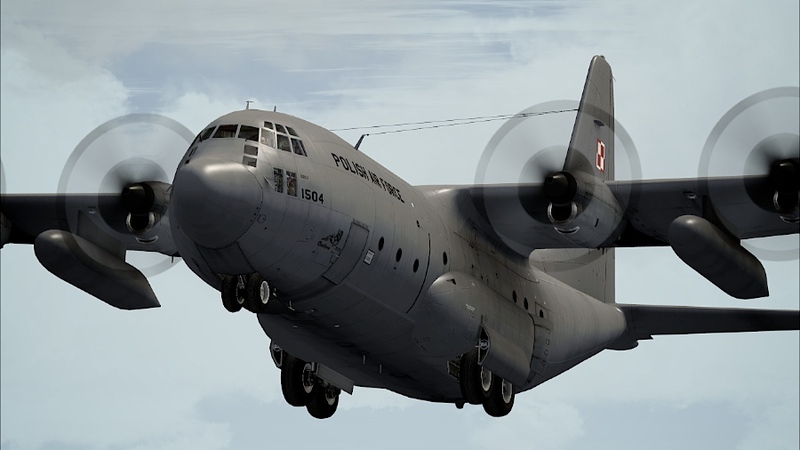 Polish Air Force repaints for Captain Sim C-130 Hercules. All liveries are based on existing aircraft - 1501, 1502, 1504 and 1508.